P.S. My dog is sprawled on my squares again! 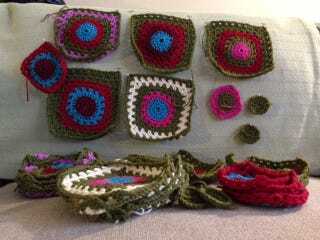 But granny squares make such good pillows!